Marvel Avengers Iron Man Carry All Tin | Team up with Ironman to protect your valuables! Lightly embossed to delight your little one! 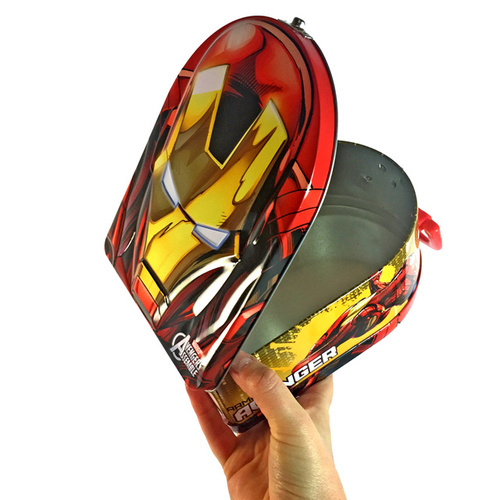 Team up and harness the power of Iron Man to keep your most valued items safe and sound with this portable hinged gadget tin! Even a superhero needs somewhere to stash his wares, whether it be figurines, spare change, or a special collection of Marvel merchandise. With a metal latch to keep things in place, your arch-shaped carry all tin is great for day to day storage and travel. 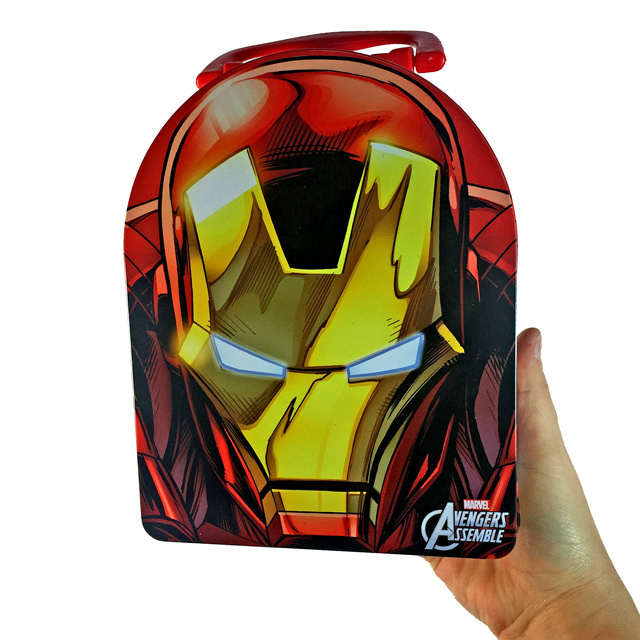 You can even use it as a lunch tin! The Iron Man inspired graphics are lightly embossed for a unique 3D look, and the top handle makes for easy carrying! Dimensions: 19cm x 15cm x 7cm.